The ingenuity and efficiency of our teams constitute the cornerstones of each job done by Groupe MACO, from start to finish. Regardless of the scope of the job, our team members address all of our clients’ needs, on time and within budget, but especially with the highest regard for safety—above and beyond industry standards. Groupe MACO’s dedication to its clients is apparent in all its projects. Complete mechanical and piping installation of minerals concentrator plant. Fabrication and installation of 54 000 Lft of pipes. Installation of the entire mechanical equipment. Reception and handling of major equipment. Installation of mechanical equipment of the storage halls. Installation of fluidization systems for cement silos extraction. Construction of the truck loading building. Transportation and installation of all the mechanical. Supply, Fabrication and installation of 25 000 Lft of pipes for preparation, cleaning and refinery building. 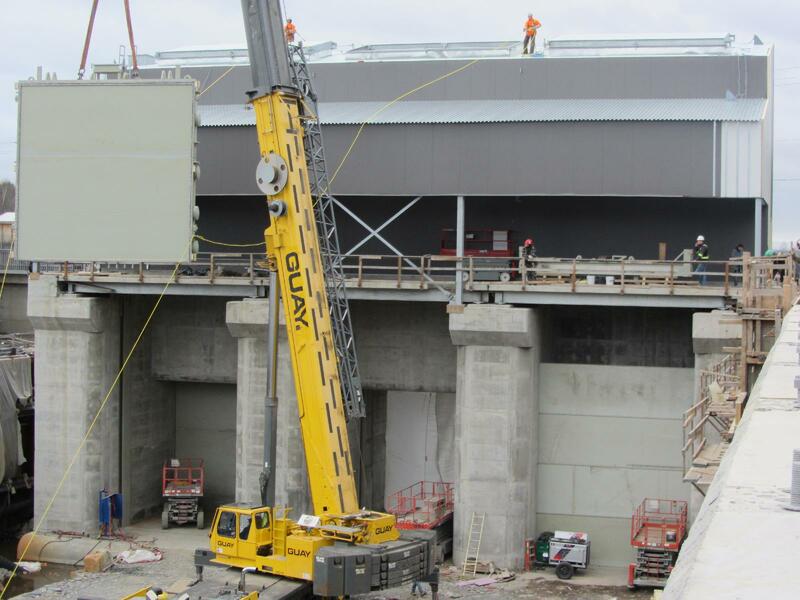 Installation of 190 conveyors , towers, and bridges– total of 5400 Lft of conveyors and 242 chutes/transfers. Design and installation of the entire dust collecting system in preparation, cleaning , extraction and refinery building – 9200 Lft of ducting. Erection of raw materiel storage tanks. Supply and erection of beans residues. Dismantling of the entire plant process equipment for Kinghai Salt Lake Industry Group Company. Transportation and handling of all the equipments to Bécancour port. Shipping of 200 000 freight tons. General contractor - mechanical and piping. Installation of melting / heat treatment furnaces and process equipment. Supply, fabrication and installation of piping systems. General contractor – civil and mechanical for construction of natural gas compression station. 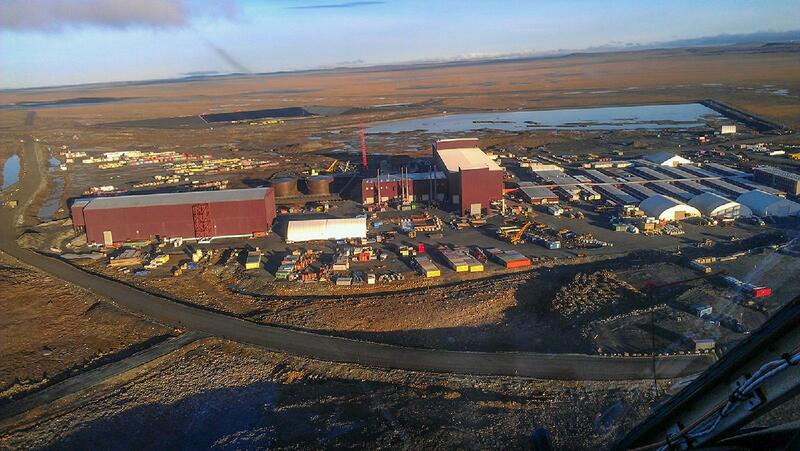 Modernization and complete upgrade of the compressor station. Various major piping installation projects. Complete assembly and installation of a new dust collecting system. Installation of 500 feet of duct. Modification of the supports and structure on the roof of the plant. 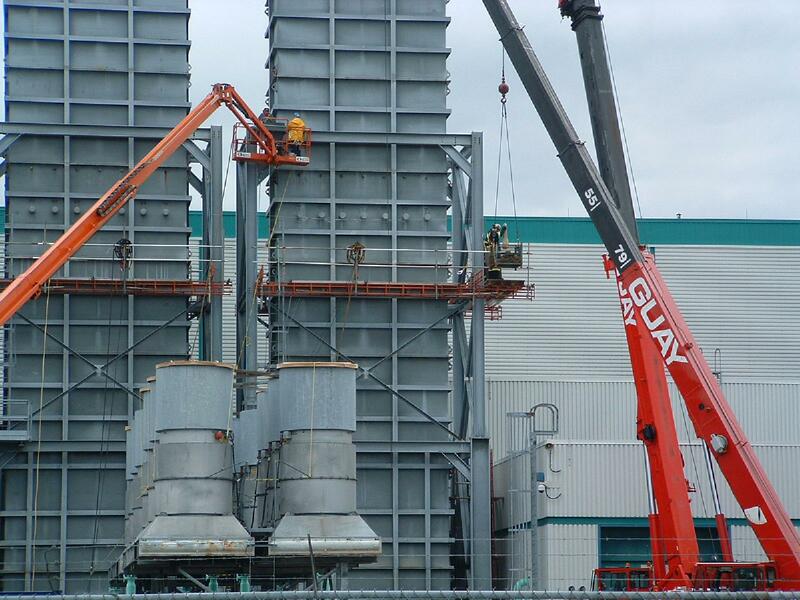 Installation of three new chimneys. Modifications to the plant collecting process. Major shutfown - Repair and upgrade of the flare. Installation of a new molecular seal and the tip of the flare. Dismantling and relocation of Andritz presses. Installation of the new whitening tower. Mechanical work of the whitening tower and installation of heat exchangers. Supply and installation of the process piping of the whitening tower. General contractor for the construction of the new synthesis unit HCL 239-1U-4. Construction of the new building. Supply, fabrication and installation of piping. 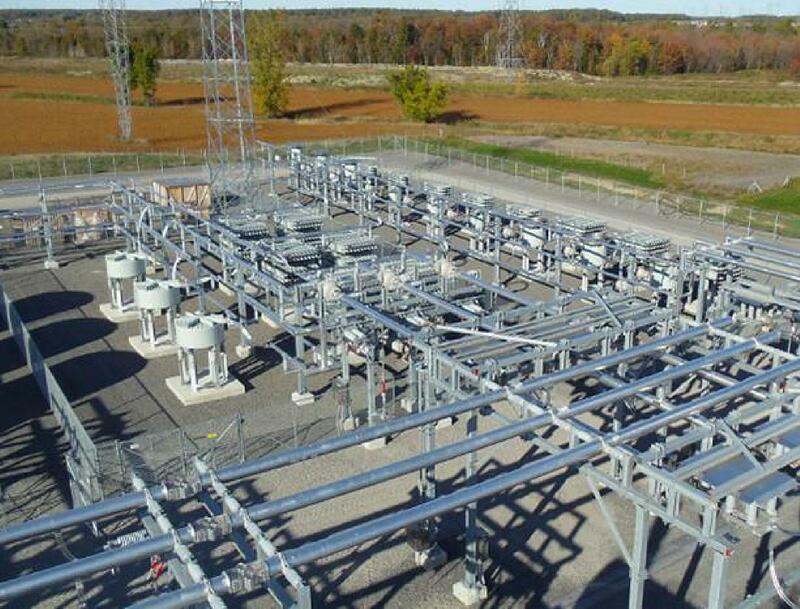 Enbridge line 9 reversal project, TK–4004 new service supply system. General contractor – civil and mechanical. Piping fabrication, supply and installation. Supply and installation of a new insert plate. Installation of new floating deck seal. Repair of floating deck legs/supports. Installation a miscellaneous equipment, piping, instrument, etc. Internal sand blast and coating. Fabrication and installation of piping system. Installation of mechanical equipments and pressure vessels. Enbridge line 9 reversal project, modification to distillate system and VGO transfert. OCC - Installation of the vertical pulper, related equipment, sludge press and piping installation. MP10 - Supply and installation of stainless steel piping. MP10 - Structural and mechanical work and starch silo. Installation of all mechanical equipment of the process. Piping and steel structures installation for import pumps and distillate transfert project. Civil and piping work to replace and commissioning a new section of 1.1 km of a natural gas transmission line 7,000 kPa. Bucket elevator installation. Cake meal storage capacity increase. Design, supply and installation of 2 storage tanks. Cake meal storage capacity increase. 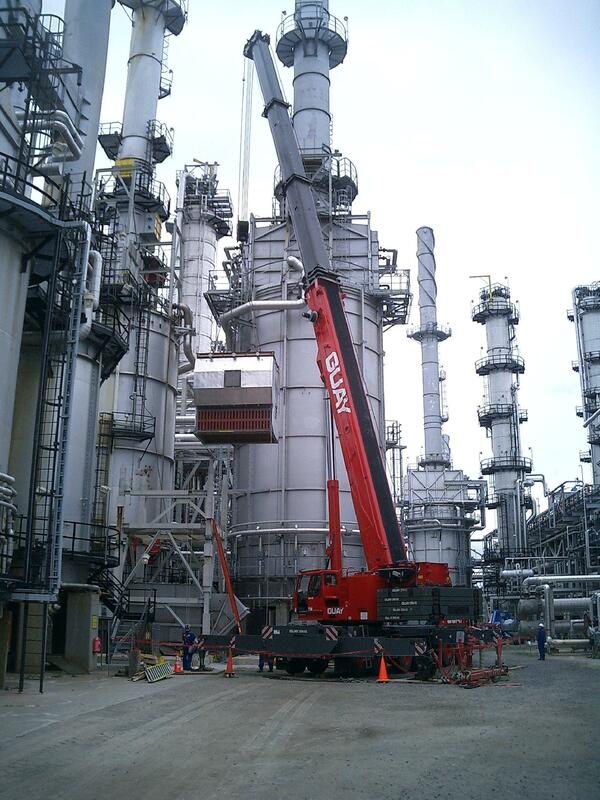 Installation of 190 conveyors , towers, and bridges for a total of 5400 Lft of conveyors and 242 chutes/transfers. Reception, handling and storage of 700 Mwe steam turbine components - Gentilly II Nuclear Generating Station (Hydro-Québec). Supply and shop fabrication of piping system for new unloading train infrastructure. Reception at port , transportation and installation of 56 major equipment from Malaysia. Conveyor installation of the unloading system. Seal gas and buffer piping. Planned shutdown. Complete installation of mechanical equipments for preparation, cleaning, extraction and refinery building. Complete installation and commissioning of the preheating system and all equipment related to the preheater. Unit # 18. Installation and commissioning of mechanical and embedded components related to gate, girders and winches. Fabrication and installation of 4 new chimneys, including the dismantling of existing chimneys. Installation and commissioning of 5 rotative kiln. Pipe supports replacement and restoration of damaged surface. Transportation and shipping of the entire process equipment of Norsk-Hydro plant to China for Kinghai Salt Lake Industry Group Company. Shipping of 200 000 freight tons. Cleaning and removal of debris. Repair of equipment and piping systems. Reconstruction of structure and roof. 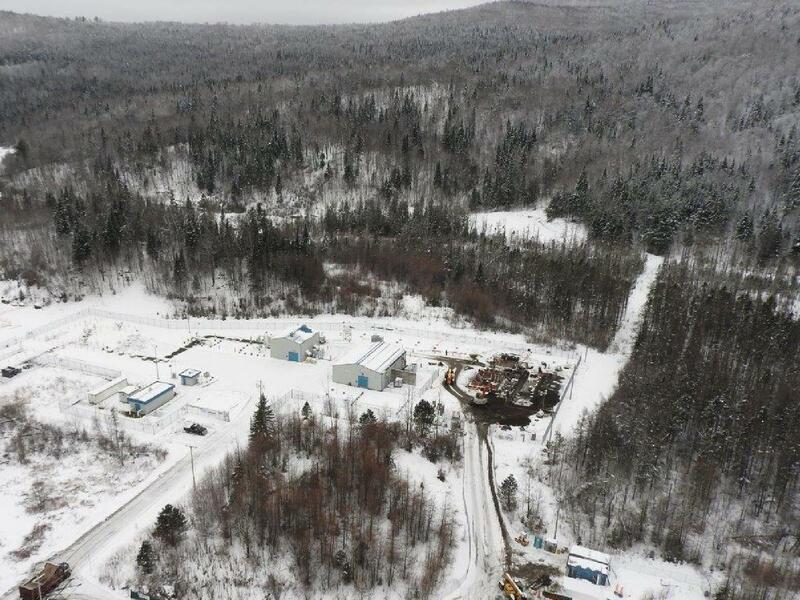 New gas pipeline under the bed of the Ottawa River. Abandonment of the suspended pipe. 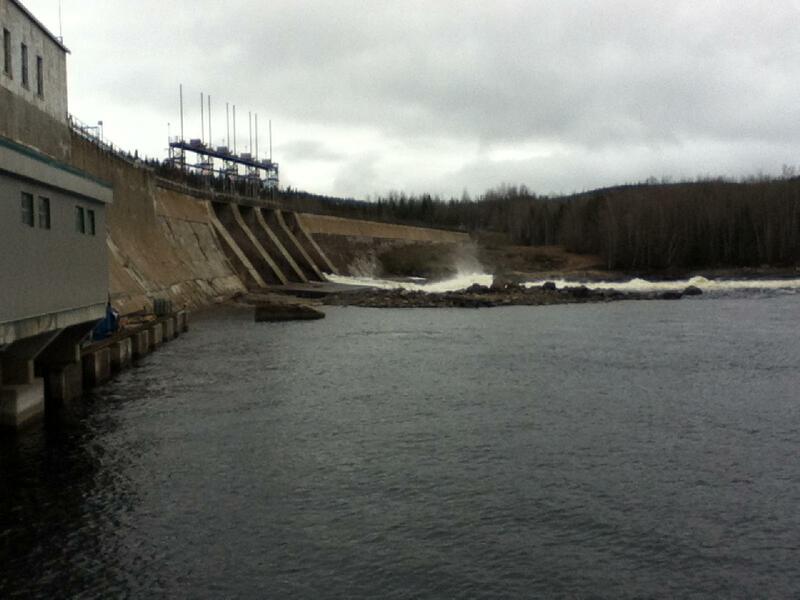 Refection of bottom gates and spillway gates. Replacement of the 70 feet diameter tank structure. Replacement of the roof of the tank. Installation of the storage silos of the new mill. Installation of a 32 foot section. Installation of the structure of a bridge of 33 meters long. Upgrade of compressed air system. Piping installation for drainage and oil separation. New floor tank supply and installation in a 56 ft. diametre tank.